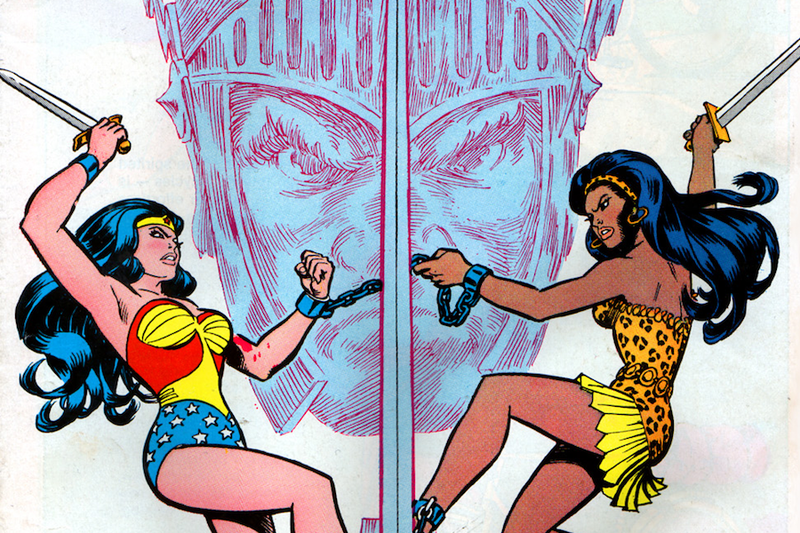 Diana of Paradise Island met her match in 1974's Wonder Woman #204. That’s when Nubia, a black woman clad in full body armor claiming that she was the one true Wonder Woman, challenged her to battle for the title before Hippolyta, queen of the Amazons. Unbeknownst to either of the women, their evenly matched power sets were the result of the pair being sisters. Suddenly, Nubia is back—just not in DC’s main continuity. Dian and Nubia were both molded out of clay by their mother Hippolyta. Unfortunately, Nubia was snatched away from Paradise Island by the god Ares and brainwashed into hating and wanting to destroy the Amazons. Eventually, Nubia was freed from Ares’ control and became an infrequent ally to the Amazons. But after Crisis on Infinite Earths, the character largely disappeared from DC’s books, save for a few appearances in the early ‘00s-era Wonder Woman series was she was reimagined as Nu’Bia, Themysciran guard of the river Styx. To say that Nubia’s been overdue for a comeback is something of an understatement, but in this week’s issue of Injustice 2 written by Tom Taylor with illustrations from Mike S. Miller, she makes a triumphant—if extremely surprising—return that major raises questions about Diana’s fate. During the original Injustice video game (which this series takes place after, naturally), Wonder Woman allied herself with a tyrannical Superman who sought to “protect” the world by more or less appointing himself as its chief protector and dictator. After Batman managed to defeat Superman, Wonder Woman, and the rest of their regime, the world began to piece itself back together step by step. As punishment for her involvement in the regime, Diana was sent back to Themyscira and imprisoned using chains originally meant to bind Ares. While the Greek god of war has been periodically visiting Diana in her cell to taunt her, others are plotting to end her captivity. At this point in the Injustice 2 comic (which is a prequel to the video game of the same name) Kara Zor-El has been convinced by Damien Wayne and Black Adam to help free Wonder Woman. Diana, in turn, will ultimately aid this faction in liberating Superman from his imprisonment and reestablish his regime. Because she wasn’t around for her cousin’s authoritarian rule, Kara naively believes is a Good Idea™. Anyone with a lick of sense would realize that working with Damien and Black Adam is supremely unwise thing to do, but Kara’s new to the scene and a bit too trusting for her own good. Together, the three devise a plan to fake a ship crash that will lead to Kara’s washing ashore on Themyscira where she’s meant to infiltrate the Amazon’s ranks and eventually spring Wonder Woman from her cell. Everything goes according to plan and, in very Steve Trevor-like fashion, Kara feigns having shipwrecked and almost drowned, immediately drawing sympathy from the Amazons who rush into the waters to fish her out. But just as it seems as if Kara’s going to make it into Themyscira without any hiccups, a woman wearing red boots, blue pants, and a golden lasso on her hip wades into the water. She introduces herself as Wonder Woman... only this Wonder Woman is decidedly different and immediately causes Damien to panic from his hiding place. There are echoes of old stories featuring Nubia woven into her appearance here. One imagines she took back the Wonder Woman title for herself after Diana besmirched it during Injustice, and it’s interesting to note that in Supergirl #9 from 1973, one of DC’s older, main continuity books, Kara is similarly welcomed as an honorary Amazon before being tasked to find a rare herb that a poisoned Nubia needs to survive. Given the way that the Injustice 2 video game plays out, where Nubia makes no appearance whatsoever, it’s more than likely that Nubia’s going to end up fighting (and losing) to Kara, Adam, and Damien, as probably Diana as well. 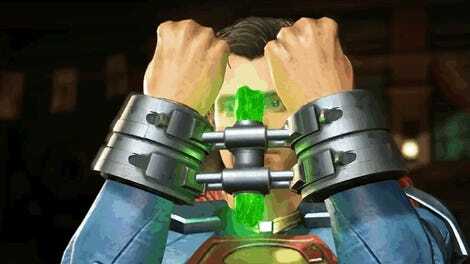 But for now it’s fantastic to see the character back in one of DC’s books and being framed as an outright hero. What’s more, bringing Nubia back into the fold in the wake of the Wonder Woman movie feels like a purposeful decision given the film’s success, rumors about the sequel’s potential plot, and renewed fan interest in Nubia’s story. Injustice 2 may not turn out to be the return to glory that Nubia deserves, but it could very well be the beginning of her path back to the publisher’s primary universe where she could have the chance to shine.